ND Foods seems to thrive on its take-out business, but it does have several tables for those who want to eat in (you place your order and pick up the food at the counter). 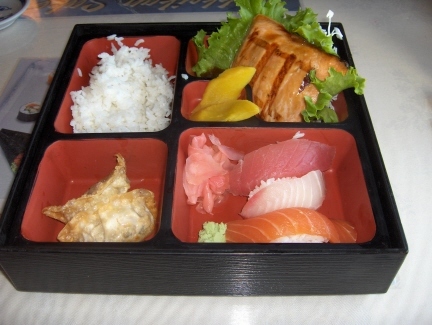 I have found food taken home to be just as good as when it is served in the restaurant. The common denominator I have seen with reviews and my own experience is that all the food is very good. 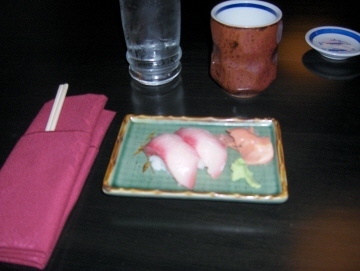 A couple of dishes did not hit the spot as much for me in terms of flavor, but the quality, freshness, and preparation of the food has been uniformly excellent. ND Foods is primarily a lunch spot, but does have quite a few items that go equally well for dinner. 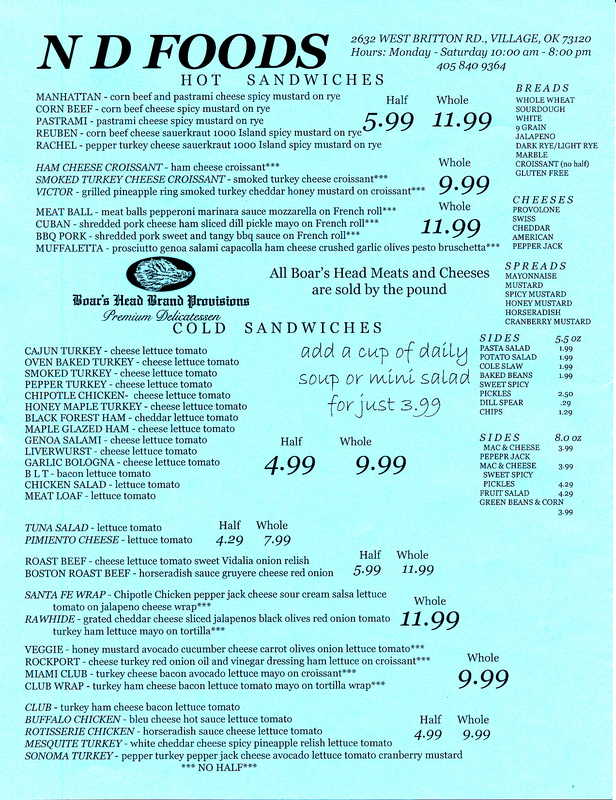 It has a large selection of sandwiches, with Boar’s Head meat and other deli ingredients that promise to be a very good quality sandwich (I haven’t tried the sandwiches but I took home some of their Boar’s Head turkey). 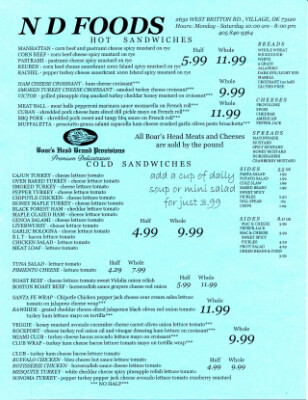 In addition to regular sandwiches ND Foods serves hot sandwiches, soups, salads, wraps, quesadillas, and there is a daily menu which may include some other items as well. 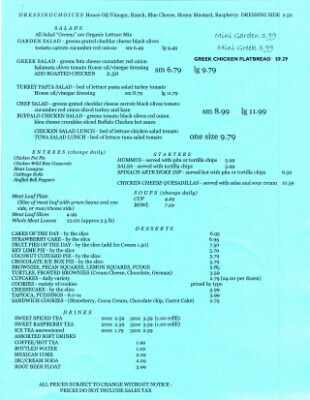 Some of the items I would consider to me more for dinner include chicken pot pie and stuffed bell peppers (the menu changes every day, and they are likely to run out of some of the “dinner” items as well as lunch ones if demand is particularly high). 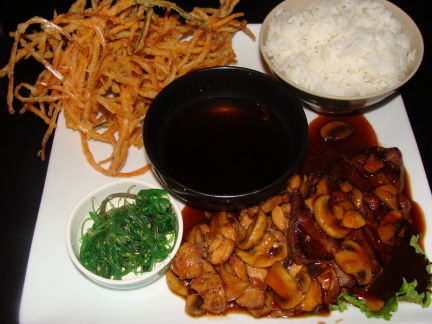 Making a meal out of the food here can be a little tricky because some of main dishes are quite large (and may be more suitable for two people), some of the side dishes are a little pricey, and some of the side dishes themselves are better shared. 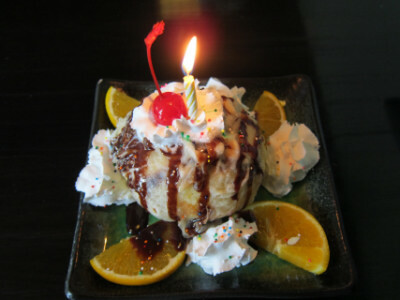 My suggestion is that you will also want to save room for one of their many excellent desserts. Side dishes include appetizers such as hummus, chips and salsa, and dip. 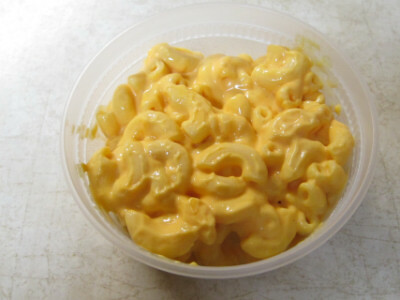 However, they also have an excellent mac & cheese (which really could be a main dish) and other similar choices. 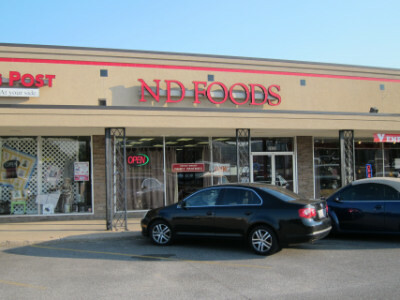 The history of ND Foods is that it was originally located near N.W. 50th and Western, and around 2010 moved to Britton Road in The Village (in the same strip center as Johnnie’s Charcoal Broiler). The Britton Road location was originally not open evenings, but now stays open until 7:30. They purposely only prepare a portion of the menu every day (rotating items frequently), but I think they are adding new items and specials as time goes on. 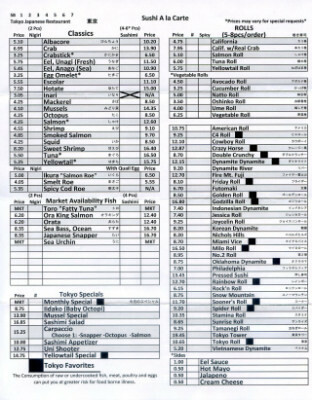 Dinner entrees change daily, but on my first visit they had more than half of the items available that were listed on the menu. When I say these are “dinners” this mainly refers to the amount of food served, since I think some of them could easily be enough for lunch with an equal portion left over for the next day. Everything I tried was excellent, and tasted freshly prepared. 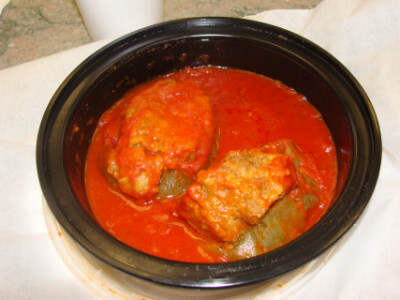 One of favorites was the Stuffed Bell Peppers with a very flavorful tomato sauce on top. The meat had just the right blend of seasonings and ingredients to make it stand out from many similar dishes I have had elsewhere. I am also not usually a fan of bell peppers, but these were cooked just right to give them an appealing texture. 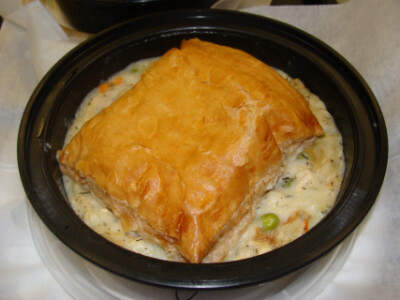 The Chicken Pot Pie was also excellent, and is a good choice if you want to be quite full or have leftovers. 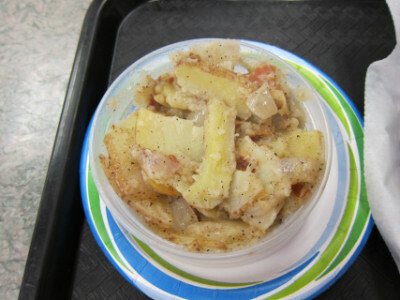 I do not know who else even serves pot pies other than cafeterias (and I am not sure if they do), but the one at ND Foods was much better than average. The gravy was light (but not thin), the chicken was excellent (I think it was all white meat), and the dinner did not taste salty. I do not think this is a low calorie meal, but it seemed to have the type of ingredients that would make it more healthy than the typical pot pie. 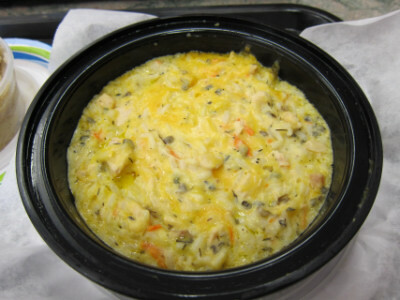 I am not much of a cheese lover, so I was surprised to find out that this was one of the main ingredients of the Chicken Wild Rice Casserole (which was listed as “Chicken Wild Rice” on the changeable menu board). The cheese was much better than average, though, and I thought it melted just right to give a good flavor and texture. 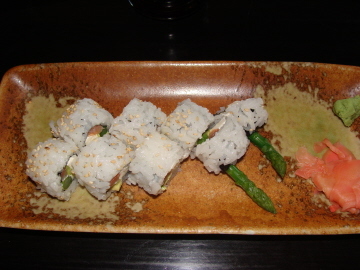 The dish was also very peppery, and between this and the cheese it was not my favorite dish at ND Food, but at the same time I could not say there was anything really unappealing about it (just that the menu did not give me a good description of it). The Mac and Cheese might be considered either a main dish or a side dish (although a side dish that would probably feed two people). I thought it was exceptionally good, especially since I first tried it after a visit to the dentist when I wanted to eat something soft and easy to chew. The cheese had a perfect balance of having body yet being runny enough to cover all of the noodles equally. The Chicken Salad Sandwich is also among my favorite items, but part of the reason is that you can get a half sandwich and soup for a reasonable price. I generally do not order chicken salad because most of them are made with mayonnaise, but this one with sour cream was a step up from the others. The Tuna Sandwich is not my favorite item here in terms of flavor, but it is a treat because it is made in house and offers a fresh alternative to some of the other sandwiches served in the city. One thing that prevents me from ordering a whole sandwich it is its size (a half sandwich, shown in the photo next to the soup, is more than enough if you get soup or a side order with it). I give this sandwich five stars, but it is just that most of the time I would go with chicken rather than tuna. 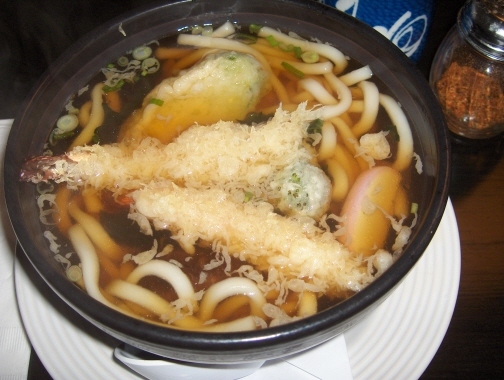 Soups change daily and are not listed on the restaurant’s menu. They are all fresh and made in house, and I do not know how a person could go wrong with any of them. 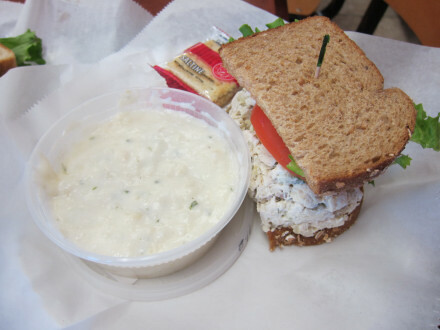 The Clam Chowder (shown on the photo with the chicken salad sandwich) had a good flavor and a minor imperfection of the broth being a little congealed (at least this is what was in my notes). My overall recommendation is to order it because it is quite good. 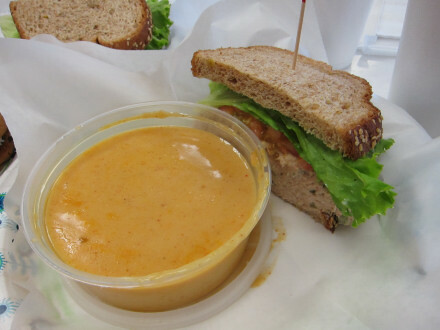 The Lobster Bisque (shown in the photo of the tuna sandwich) had a good flavor, and led me to believe that any tomato based soup at ND would be worthwhile. Some side dishes such as the Green Beans and Corn had a rather bland flavor, but they were fresh. The German Potato Salad, though, tasted like it had too much vinegar or something else was off so that it had little resemblance to the same dish served at Ingrid’s. I thought the mac and cheese was a much better side dish than the others I tried, but several others are available that I have not yet samples. There are so many desserts available it is hard to choose, but the Three Berry Pie was about as good as it gets when it comes to dessert. A single piece of pie or cake costs over five dollars, but it comes in a large size and is worth it because of its home made quality. 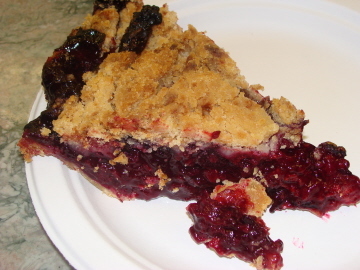 I thought the pie was just sweet enough to be good but not overly sweet, and the berries tasted fresh. The crust was excellent, and was on the flaky side (but it did not fall apart). The crust and the filling were both top notch. 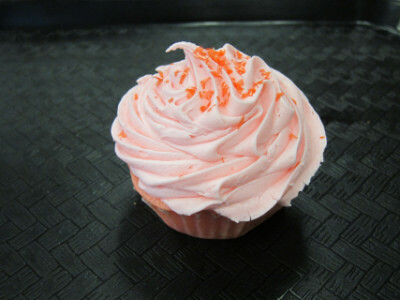 The Strawberry Cupcake was also very good, but I cannot describe very many qualities about it other than “sweet” (but I think that is the point of eating a cupcake). 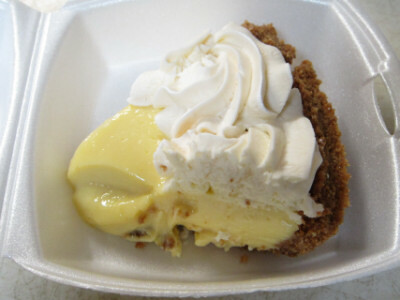 ND has a very good version of Key Lime Pie that I think compares very favorably to the ones served in other restaurants. There was a good balance between the lime and the other flavors. You also get a generous portion at a good price. 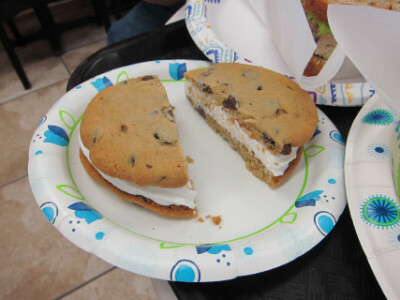 The Chocolate Chip Sandwich was as delicious as the other desserts I have tried here. It was very rich, and a little goes a long way. I am getting to the point that if I have sweets I really want to make them count in terms of flavor, and the cookies here meet this test. Camilya got this restaurant off to a very good start by serving fresh, home cooked style food in a small cafe style setting that did not make customers pay high prices. 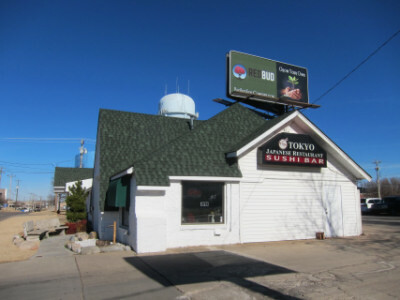 In 2010 the current owners took over the restaurant, continuing the same type of food that Camilya cooked (since that time some of the family members opened Jerusalem Restaurant in Edmond which is excellent as well and serves the same type of food). Normally when a restaurant changes owners I have to start over in writing descriptions of the food, but in this case there have been few differences from before. The veggie sampler plate has different items than before, several new menu items have been added, and the plates have become more colorful so that I can now take more interesting photographs. 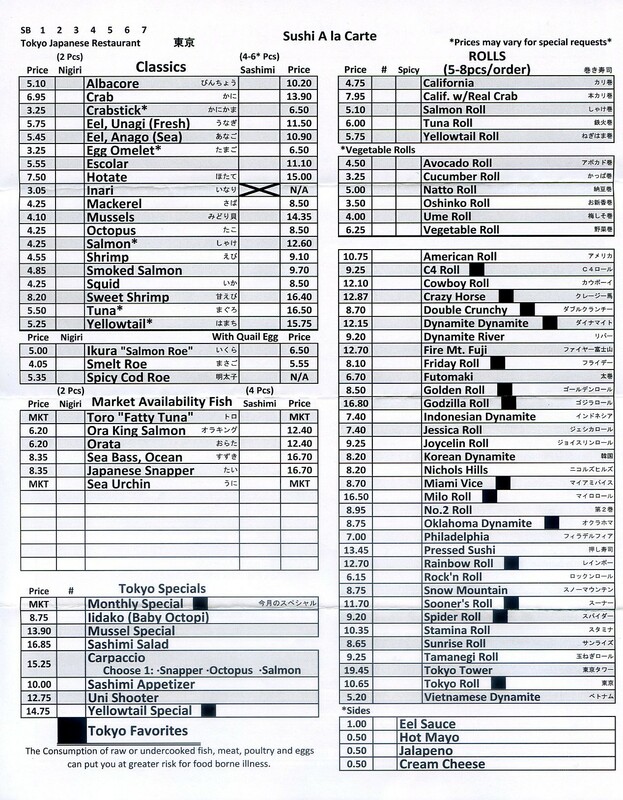 I have upgraded the ratings of some of the dishes, but I do not think there are any that needed to be downgraded. I think the “new” Camilya’s is very much like the old one, only better. Technically the original Camilya’s was Syrian cuisine and now it is Jordanian/Palestinian, but I have a very hard time distinguishing the differences between them. 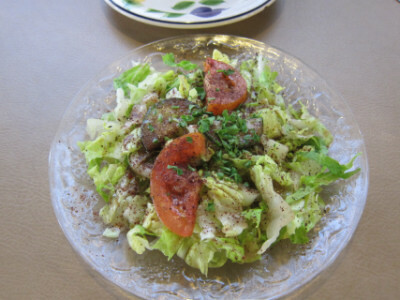 Several salads are available, served in both small and large portions. 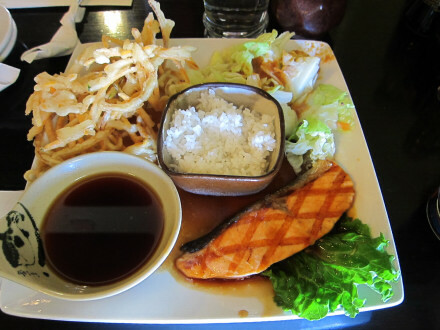 Small salads come with many of the dinners, and these can be upgraded for an extra charge. If I have a large enough appetite I think it is worth ordering the fatoosh or Greek salad. The Fatoosh Salad was one of the freshest and best I have had anywhere. 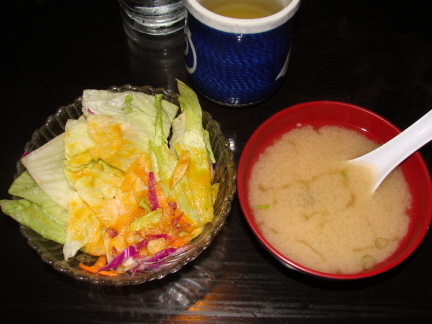 The portions of lettuce and other ingredients were not huge, but the quality was very good. The Greek Salad came with a very good dressing, and the olives and feta were highlights of the salad. Lentil Soup is apparently a new item that was added in 2010, and it was excellent. This was a home made soup made from yellow lentils, and with a generous amount of vegetables included. This was a smoother soup than others in the city, with the lentils being puréed to the point that round beans were not noticeable. 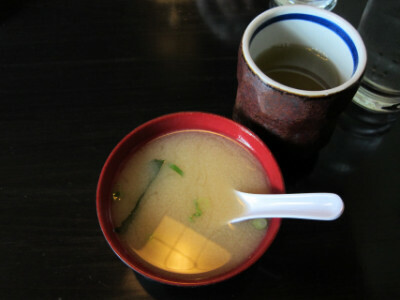 I enjoyed the flavor, the texture, and the inexpensive price of the soup. The chicken and beef skewers were every bit as good as I had expected, having been referred to Camilya’s in the first place by family members who have too limited a budget to waste it eating out on food that is not truly worthwhile. The Keftah Skewer was made with ground black angus beef seasoned with what is probably a family recipe. I thought it was well prepared, and had especially good spices. 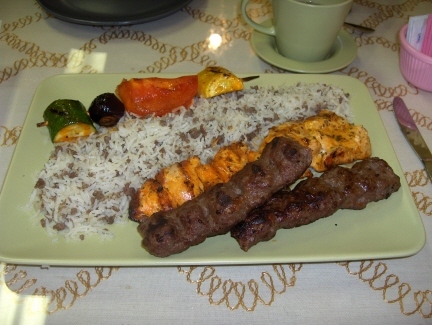 The Tawook Skewer was made with flavorful chicken and similar spices as the keftah skewer. I have gone back and forth on different visits trying to decide whether the chicken or beef was better, but I can definitely say that both are good. I also fall on the side of ordering the chicken because the one here seems better to me than the ones at any other restaurant (while the beef at several restaurants is comparable). 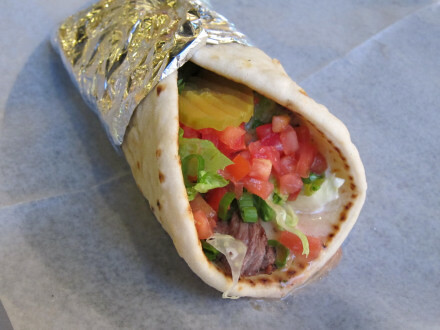 I would rate the Gyros as one of the best items served at Camilya’s, and it has a flavor that is quite different from many of the small gyros restaurants and take-out places in the city. The meat was tender, flavorful, and definitely high quality. Gyros comes in a sandwich, or the Gyros Plate which comes with a salad. 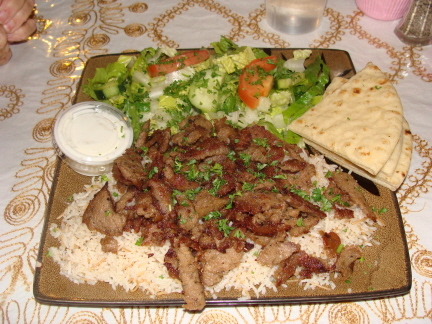 The bed of Vermicelli Rice on the gyros plate and other dinners is excellent. Hashwa can be substituted for the rice, but most of the time I think the rice is just as satisfying. Beef Shawerma is the “Mediterranean version of fajita,” according to the menu, and I also thought this was quite good. 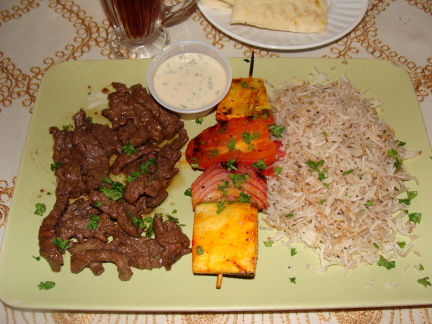 Made with tenderloin steak, tomatoes, and onions, it provides a different type of beef than the keftah skewer, but I thought the meat was of equal quality. The shawerma normally comes in a sandwich, but it can also be served on a platter if requested. 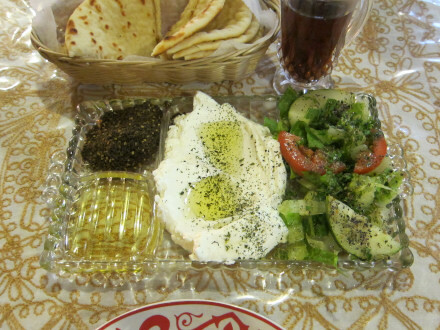 Vegetarian items are usually the weak point of Middle Eastern restaurants, but it is not so at Camilya’s. The Falafel has been quite good, and I think this is one of the hardest vegetarian dishes to get right. The key to falafel seems to be preparing it fresh and not making it too greasy. Camilya’s hit the mark on both of these. I have tried the falafel on more than one visit, and it has always been moist with good spices. The pita was very good as well. 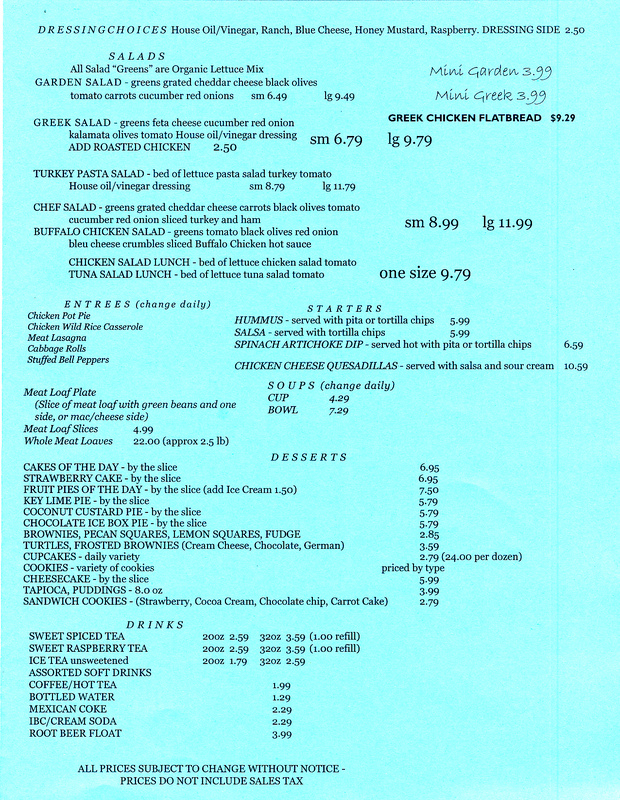 A Lamb Kabob Sandwich has recently been added to the menu, while a larger lamb shank dinner is also available. The sandwich is one of my favorites at Camilya’s, and the best feature is that this is one of the most inexpensive places in the city to order lamb. Falafel is also served on Camilya’s Sampler plate, an appetizer combination plate containing four vegetarian items. The Hummus was very good, and I think has improved since Camilya served it. The Baba Ghanouj was less flavorful than the hummus, but this is true for me at just about all Middle Eastern restaurants. The Grape Leaves were also excellent. 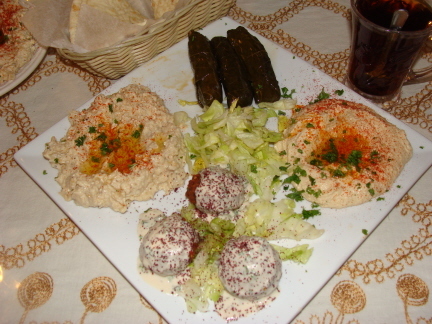 A falafel platter is available from the Appetizers menu, and is probably too small of a portion to make a meal but can be combined with other appetizers for a filling dinner. 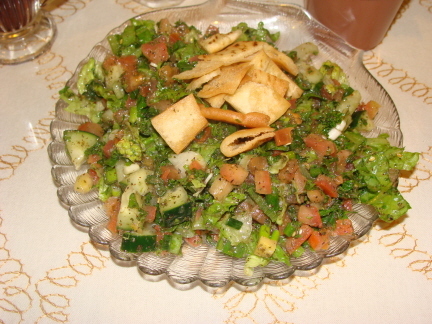 Tabouleh was one of the best vegetable items I have tasted, and as far as I am concerned would always make a good choice. I thought the tabouleh had a strong taste of olive oil, and all ingredients were fresh and good. 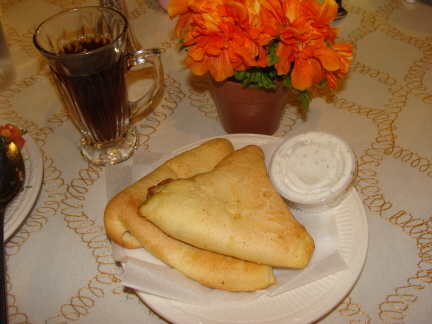 Spinach Pies are available on Camilya’s sampler, or they can be ordered separately. I was very impressed because the outer dough tasted fresh and did not seem as if it had been frozen (this is a common problem I find at other restaurants). The inside was excellent as well, and I really think this is the best place in Oklahoma City to get spinach pies. Labaneh, a yogurt dish made with goat’s milk, has been pretty bland and boring many times I have tried it, but Camilya’s makes an extremely good version because of the olive oil dip along with the oregano, thyme, and sesame mix that gives it quite a zesty flavor. In fact, this makes an excellent alternative to any of the salads on the menu (and the labaneh also comes with its own salad). 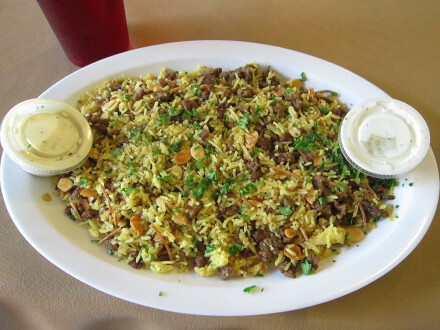 The Hashwa rice cooked with black angus beef, pine nuts, and almonds makes an excellent dish by itself, or can be ordered as an upgrade to the rice on the dinner plates. 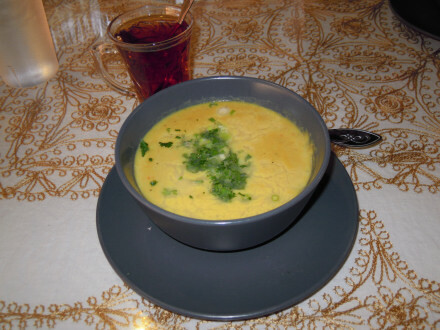 Mojaderah is a vegetarian version of hashwa, made with lentils and steamed rice. This started out as a special but is now on the menu. 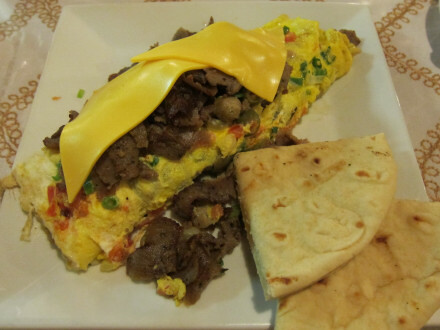 Camilya’s has added a special menu of breakfast items, including the Gyros Omelette. The owners explained that some of the employees used to work at IHOP, so they started preparing omelettes to be served at Camilya’s. 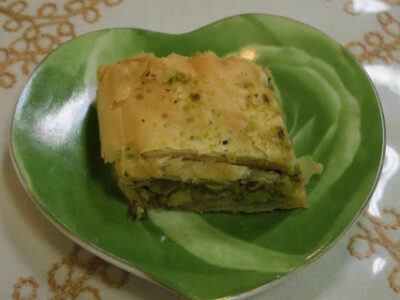 It is hard to resist the Baklava for dessert, since I think this is the best in the city (but other places make baklava that is close). Other more exotic desserts including layali lubnan and kunafa used to be listed on the menu but are no longer included (I am not sure if these are still available from time to time or by special order). The Hot Tea is a brewed masala tea that has had a very good flavor, and I think this type of tea goes perfectly with Middle Eastern food. 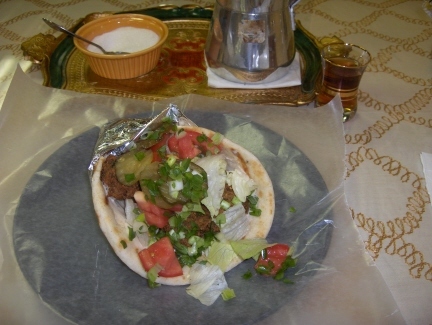 For those who remember the special Middle Eastern style tea served in a pot (shown in the photo of the falafel sandwich), this is no longer served. I do like the masala tea, though. 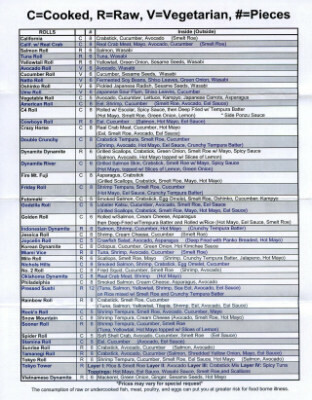 I have seen Turkish coffee and strawberry banana juice on the menu, but the take-out menu (shown at the bottom of the page) does not list the drinks so I am not sure what is available at the moment. Apart from the quality of the food, the thing that is impressive about Camilya’s is that it is really like entering a restaurant in the Middle East, with few if any compromises made to change the food for American tastes. In fact, because it seems to be more authentic than many restaurants I think this makes it better. Camilya’s has gyros (normally considered a Greek dish), but the meat is different here than other places, and they cook it in house. 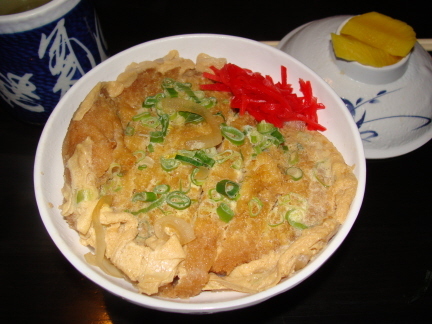 Even dishes that do not look as if they would be especially good turn out to be much better than I expected. For many items Camilya’s is better than any other Middle Eastern restaurants I have tried in the city, but this is not true across the board. 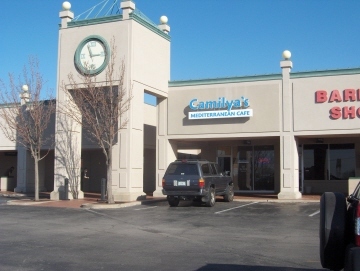 The previous cook at Camilya’s opened Jerusalem in Edmond, and I have to say that this is one restaurant that is comparable to Camilya’s in terms of the food. 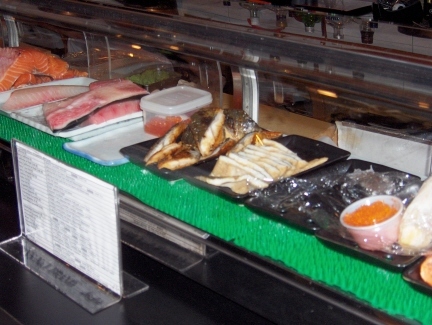 Other restaurants, such as Nunu’s, are better at certain items. 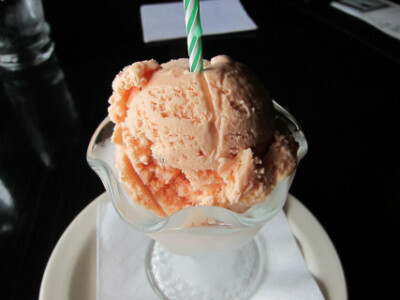 I continue to be impressed, though, by the overall quality at Camilya’s. 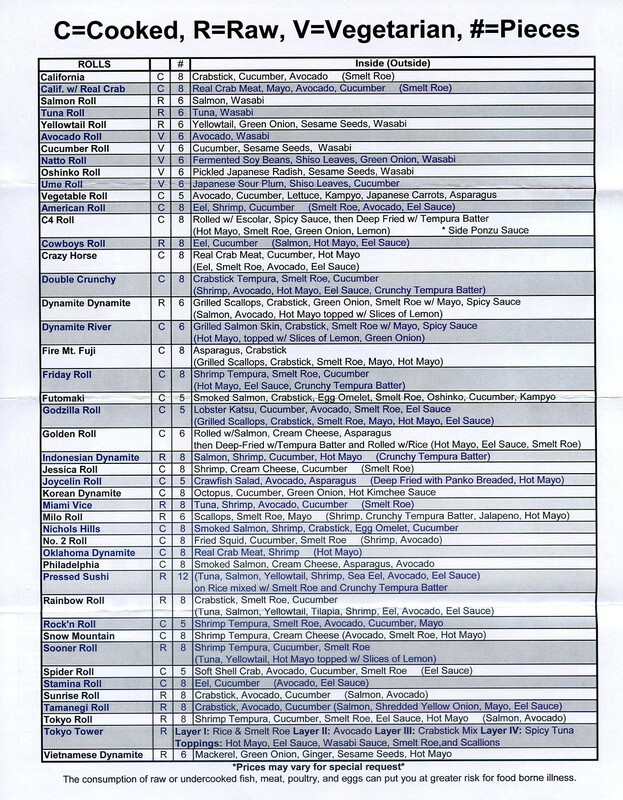 Camilya’s has not had take home menus for a while so I am including the latest one I have. I have conflicting information about the hours–recently they were open on Sunday but I am not sure if this is still the case (for a while they were open Sunday for lunch only). I do not believe there is a charge for you to bring your own wine.